As the RCSB offers direct HTTP acess, this step is trivial. By calling PyMol with a script instead of in interactive mode, we can automate the process of rendering an image – manual tuning of the perspective etc is likely to improve the results, however. 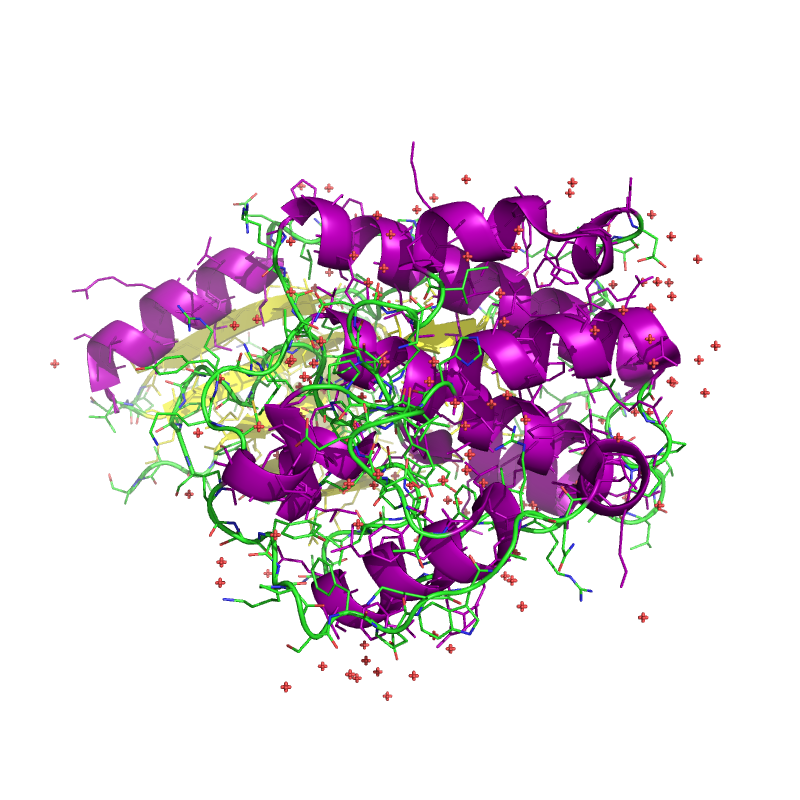 echo "Usage: render-pymol.sh <PDB ID>"
The numbers represent the width and height of the generated image. Note that increasing the image size will significantly increase the CPU time required to render the image, especially for complex proteins. Running render-pymol.sh with 1500x1500px to render the 1ULI took 209 seconds on my Notebook as opposed to 33 seconds for 500×500. Similar to our previously published UniPruot parser, MeSH provides an ASCII format that can easily be parsed using Python. Just like the UniProt parser, this function yields MeSH entries represented by dictionaries. Example code is included at the bottom of the file. 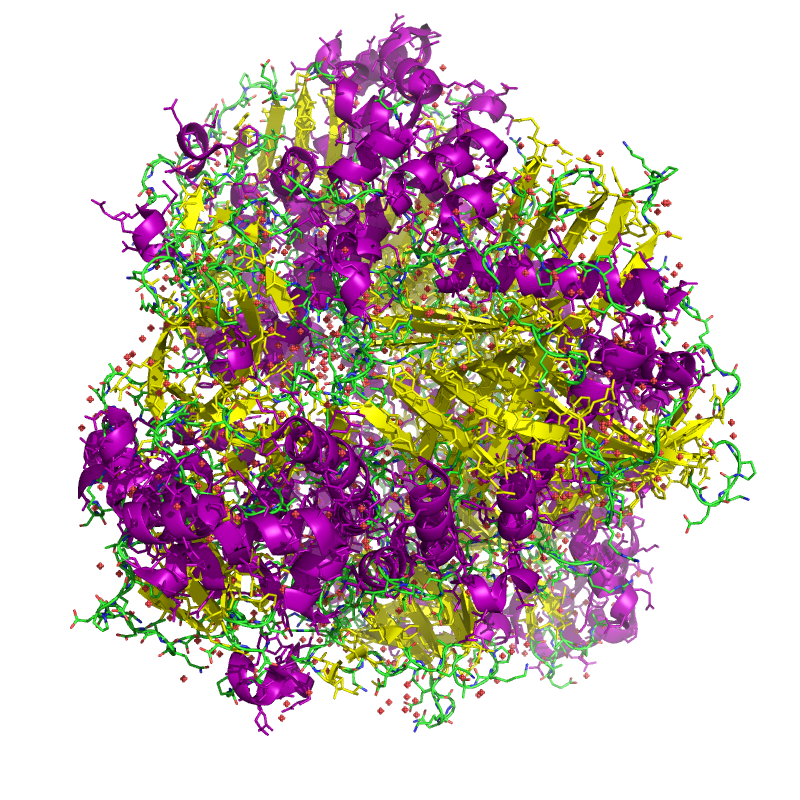 Just like many other databases in computational biology, the downloads for the popular UniProt database are available in a custom text format which is documented on ExPASy. While it is certainly not difficult writing a generic parser and one can use BioPython, I believe it is often easier to use a tested parser that only uses standard libraries. A little-known way of accessing data on the NCBI FTP servers is by using rsync. This method was first mentioned in this mailing list post in 2004. You need to calculate the center star approximation for a given set of sequences. Instead of calculating the sequence distances and center string by hand, you want the computer to do the hard work. You need to parse files in the NCBI GeneInfo format, like those that can be downloaded from the NCBI FTP GENE_INFO directory, in Python. You want to avoid any dependencies. The GeneOntology Consortium provides bulk data download for the GO terms in the OBO v1.2 format. If you Google GO OBO parser, there is something missing. You can easily find parsers in Perl, parsers in Java, but not even BioPython has a parser in Python. The format itself, however seems like it’s tailor-made for Python’s generator concept. Only a few SLOCs are needed to get it work without storing everything in RAM. I used this parser in a prototype project that allows to search GO interactively (it’s fast). I’m not sure when/if I’ll publish that, but here is the parser code. You want to read alignment matrices like BLOSUM62 in the QUASAR format. The solution needs to be integrable into C++ code easily. It is surprisingly difficult to compute simple statistics of FASTA files using existing software. I recently needed to compute the nucleotide count and relative GC frequency of a single sequence in FASTA format, but unless you install dependency-heavy native software like FASTX or you develop it by yourself using BioPython or similar, there doesn’t seem to be a simple, dependency-free solution for this simple set of problem.